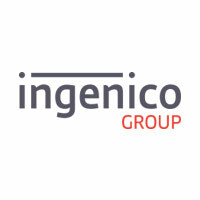 Ingenico Group has developed a payment product for micro merchants based on a technology generally called PIN on Glass (PoG) or PIN on Mobile (PoM), according to a press release. The product will enable consumers to insert their cards in a compact smartcard reader and manually enter their PIN on the personal mobile device of the merchant. This concept was developed with Ingenico’s technological partner, MYPINPAD, a company that specializes in payments software authentication products and headquartered in the U.K.